If you find stall cleaning too arduous and time-consuming you aren’t doing it right. Consider people who work in large stables and horse farms. They have lots of stalls to clean yet they get it done quickly and easily. The secret is having the right equipment and knowing how to work smarter, not harder. Whether you have one horse, a dozen or more, you can use the techniques perfected by people who care for horses for a living. 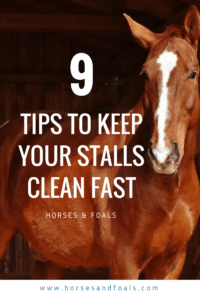 In this article we share smart tips to help you keep your stalls clean quickly, efficiently and cheaply. Read on to learn more. 1. Choose the right fork for the job. You might think the classic pitchfork is the right tool for cleaning a stall, but you’d be wrong. Silage forks are too heavy and awkward. Get yourself a modern, lightweight manure fork with a metal handle and closely spaced plastic tines. This type of fork acts like a giant kitty litter scooper to pick out wet spots and manure and allow dry bedding to sift through. It saves you time and money on bedding products such as shavings and pellets. If you use straw for bedding, you’ll need to use a pitchfork, so think about making a switch from straw and pitchforks. You’ll be glad you did. 2. Get the right size and type of wheelbarrow. Get a wheelbarrow that’s big enough to comfortably carry a large load of manure so that you don’t have to run back and forth to the manure pile. The body of the barrow should be lightweight plastic to lighten your load. If you are going in and out of stalls, get a model with a single wheel in front for better maneuverability. If you are parking your barrow in the aisle and carrying manure out of stalls with a muck bucket, get a model with two wheels in the front for greater and easier carrying capacity. 3. Keep a muck bucket handy at all times so that you can pick up after your horse periodically when you are in the barn. Keeping manure picked up helps reduce fly problems and makes stall mucking quicker and easier. 4. Don’t waste money on an expensive muck bucket. You could spend $30 at the tack store or $5 at the home improvement store for a 5 gallon bucket. They both work the same. 5. Don’t waste pellets or shavings. Look over the bedding before you begin mucking. Use your muck fork to sift out dry bedding. Toss the dry bedding to the side or into the corners to reuse. Clean up wet spots, sprinkle with baking soda and cover with the recycled bedding before applying a fresh top layer of bedding. 6. Familiarize yourself with your horse’s habits. Most horses tend to use the same corner of the stall for elimination. Keep that area well picked up to prevent your horse casting about for a new location. Doing this consistently greatly reduces the amount of cleaning you have to do daily and extends the usability of your bedding materials. 7. If your horse tends to toss his hay about, just incorporate the dropped hay into the bedding to at least get some use out of it before sending it to the manure pile. 8. Invest in stall mats. These thick rubber mats are pretty expensive, but they are astonishingly durable. They’ll last forever and cut down tremendously on the amount of bedding you must use to provide a safe and comfortable surface. Use of stall mats also helps prevent hoof, leg and joint problems, so in the long run this investment can save you a great deal of money. 9. 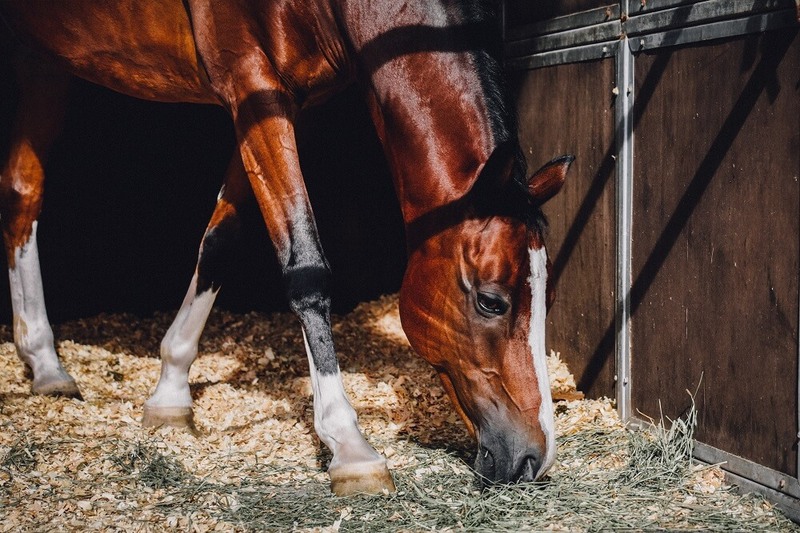 Reduce the amount of time your horse spends in the stall and/or paddock. 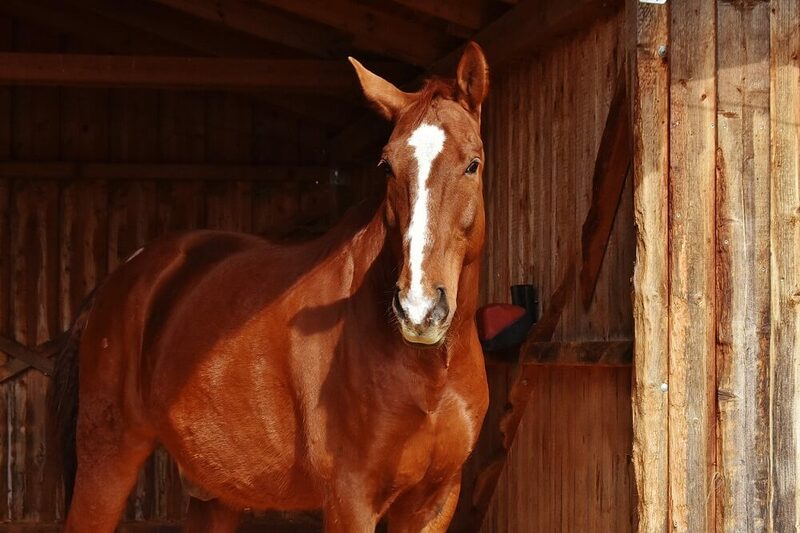 The less time your horse is kept up, the less mess he will make in his living quarters. Allow your horse to enjoy turnout as much as possible. This helps promote better health and a happier horse, so it’s a great way to save money on vet bills and have a more enjoyable companion and mount.